Welcome to the Department of Dance! The UGA Department of Dance offers the Bachelor of Arts and Bachelor of Fine Arts in Dance degree through the Franklin College of Arts and Sciences. The program of study is a comprehensive dance curriculum with professional training in contemporary dance and ballet with an emphasis on performance. Jazz, hip hop, urban and world dance forms, ballroom, folk and tap classes are also offered. Coursework in dance explores the technical, stylistic, historical, analytical, cultural and performative aspects of the art of dance, providing a strong foundation for student to explore, experiment and develop personal creativity and artistry. Students also have the option to earn Teacher Certification in Georgia along with the degree in Dance. 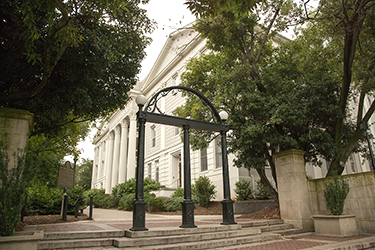 UGA is the only University System of Georgia school to offer P-12 Certification in Dance. The University of Georgia is accredited by the National Association of Schools of Dance (NASD). Join us on the dance floor with a gift to the Department of Dance at the University of Georgia! To mail a donation, download and print our gifting brochure, or visit our giving page to learn how to give online. Be sure to designate Thank you for your support! Read more. 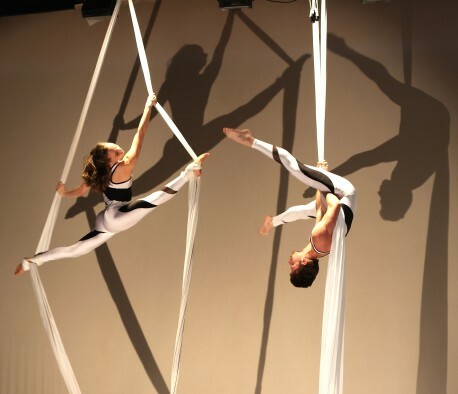 CORE serves as a training base for students interested in seeking a professional career in dance and is central in the preparation of students for graduate school, teaching positions in education and professional choreography and performance careers in contemporary and aerial dance. CORE members participate in workshops, guest artist residencies, lecture demonstrations and maintain contact with the professional dance world through residencies with choreographers, performers, dance educators and CORE alumni. To learn more, click here.